Immerse yourself into the perfect movie night with the Toshiba 65 inch LED TV. Offering spectacular 4K resolution with upscaling technology turn HD to 4K visuals. The colours on-screen are expanded by the improvement of Dolby Vision HDR. This particular model gives the option of Smart TV services, meaning you can get more from your TV. 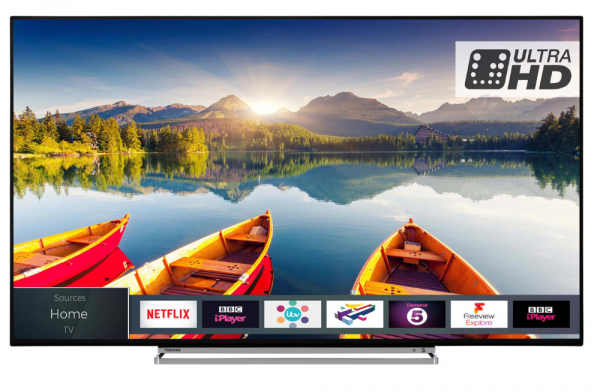 Already made with Freeview HD, Freeview Play and Alexa compatibility, this is no average TV. Catch up on your favourite shows or find a new release that you've been excited to dig into. Create the perfect viewing experience with this TV.